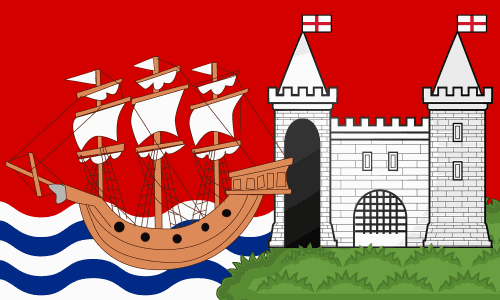 I've came accross a petition for a new flag of Bristol. Apparently, it's related to Facebook and Twitter accounts. So I became excited about making a design by myself. But this banner couldn't be used by Bristolians without authorization. 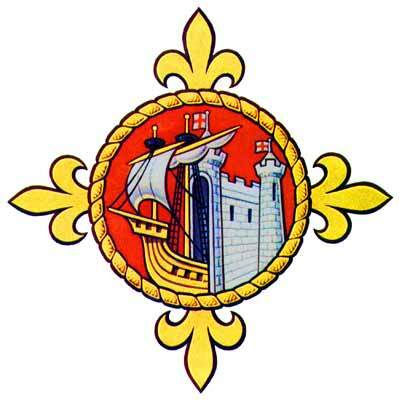 I've become inspired by Bristol's original seal and current badge (diverse from coat of arms, it was used to show allegiance). Ship and fortified bridge represents the famous Bristol port. The cross fleury is a reference to a compass rose. 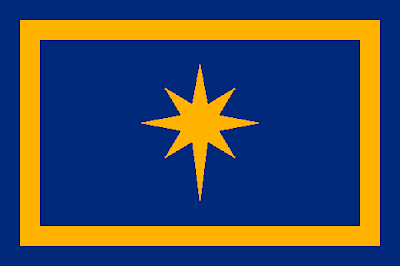 I think I've simplified enough the complex design to make a good flag, but still keep the elements understandable. Sorry for small delay. I've had a commitment. Access the campaign's Facebook and Twitter for more ideas. 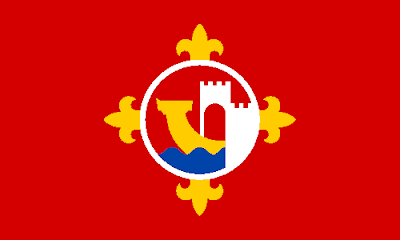 The banner of arms was made by Paul Callan. Pernambuco is the 7th most populous and the 10th richest state of Brazi. 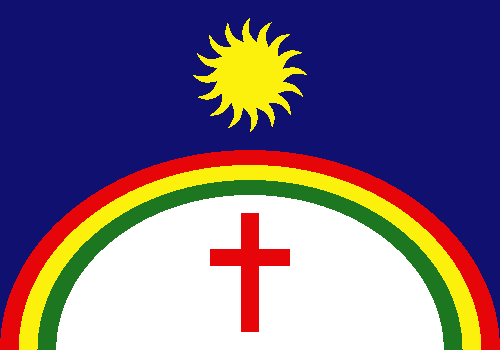 I've been requested to design a set of flags for a hypothetical independent Pernambuco state. 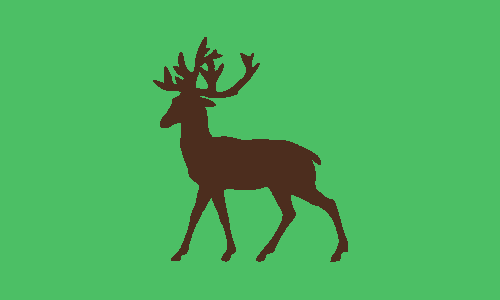 But today I'm only showing my solution for national land flag. In the original flag, the three stars represent three capitanias (similar to a province) that adhered to rebellion: Pernambuco, Paraíba and Ceará. In current flag, the star represents statehood. The rest of symbolism is very obvious: white for peace, blue for sky, sun for energy and brightness, cross for faith, rainbow for plurality. I kept the rest of the symbols. 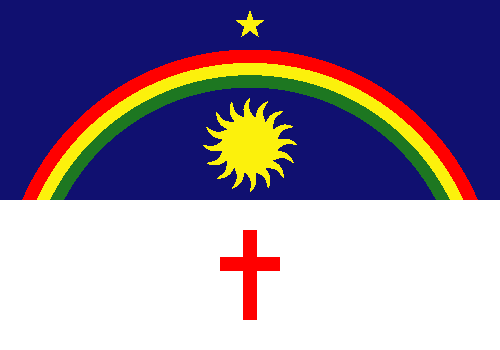 Now without the star, I had to rebalance the flag, so I used the rainbow as a partition line, what would give room for both sun and cross and, as a side effect, fix green-blue contrast issue. 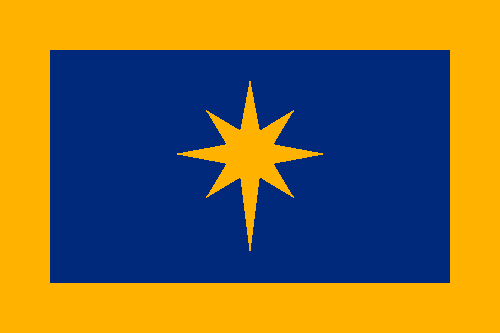 This flag was made under request. It's not intended as a political statement. 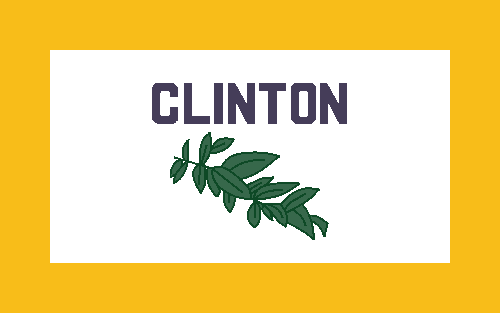 These days I spotted the flag of Clinton County, Michigan. 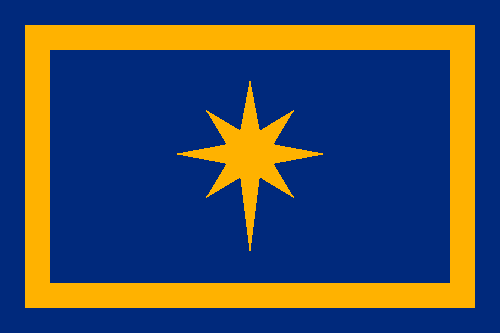 It's not the most terrible flag, but it's bland — really bland! The flag contains a spring of mint, representing peppermint and spearmint growing in the county. Instead of using a spring of mint, I decided for the shade known as "mint". As a plain mint flag wouldn't do, I put a deer, that scream "MICHIGAN!" 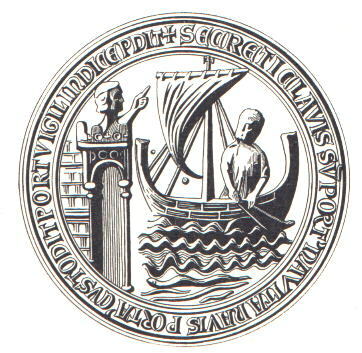 and, considering it appears on county seal, is not the worst choice. Sorry for small delay, I'm trying to avoid it. Bethlehem is a very ancient city located in West Bank. It's known to be place where Jesus Christ was born, as well as David was born and crowned king of Israel, reportedly. Another popular site is Rachel's tomb. As such, Bethlehem is one of most import pilgrimage places in Middle East. As far as I know, Bethlehem doesn't flag a flag. My first thought was designing a flag including the silver star, inside the Church of the Nativity, that marks the exact place where Jesus is believed to have been born. However, I haven't figured out a way of making a compelling, but still self-evident, flag. I noticed Christmas Star was the perfect element for the flag. The logo also contains a wheat ear, as Bethlehem's comes from Hebrew and Aramaic for "house of bread". Star of Bethlehem in night sky, border yellow like wheat... all very simple, but very attractive. I think adding the border was a good idea to make it less boring. I guess the second proposal is much more effective. Sorry for recurring delays. I've acquired a new computer, so I'll try to post more often.